Cake Decoration & Sugarcraft - 03.2018 » Download PDF magazines - Magazines Commumity! 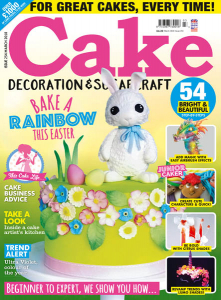 A Cake Decoration & Sugarcraft magazine subscription is perfect for both beginners and experienced cake decorators. Cakes & Sugarcraft magazine is an inspirational and informative magazine for anyone who enjoys making and decorating cakes.